Many years ago when my kids were younger, my family spent a few days at Club Med resort in Florida. Club Med is famous for their all-inclusive treat where you can eat everything they offer. Since it is a French resort, they have all kinds of tasty French breads and pastries with every meal. Out of all the selection, I loved their white chocolate bread. Crisp crust with soft and tender sweet crumbs, I fell in love with that bread and I ate tons, literally everyday. So good~, and had some regret after the vacation was over. I had a few bags of white chocolate chips in my kitchen that I need to use up, and thought of what to make with. My once beloved, almost forgotten Club med white chocolate bread came to my mind immediately. 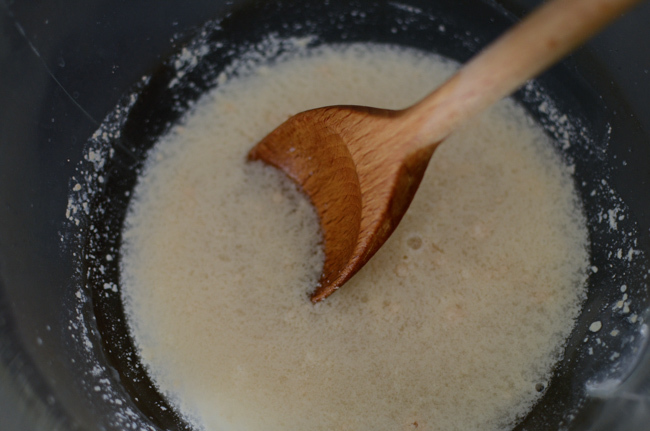 Mix water, salt, and instant yeast in a mixing bowl. 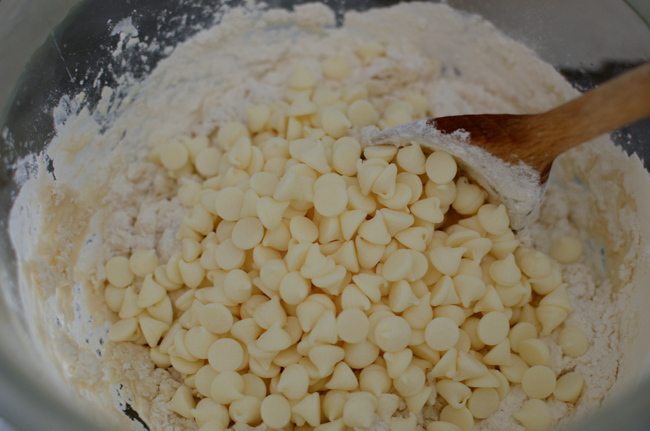 Add the flour and white chocolate chips, stir with a wooden spoon to mix them up. 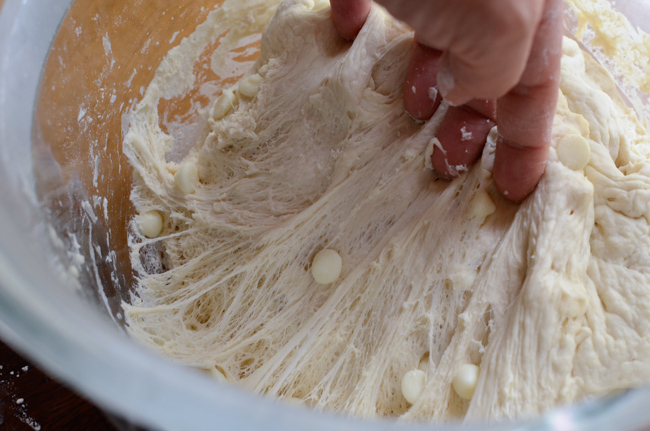 With a dough hook attached, knead the dough for 6-7 minutes on medium speed. I would recommend to use a mixer for this job since I am not sure how it will turn out if kneading by hand. I am afraid that the warmth of your hand may melt the chocolate chips during the kneading. let the dough rise double in volume, about 1 hour. If you see the spider webs are forming when you pull the dough, it is perfectly risen. Cut in half and form the dough whatever shape you desire. I just rolled it out. I made it into long and somewhat skinny loaf shape. 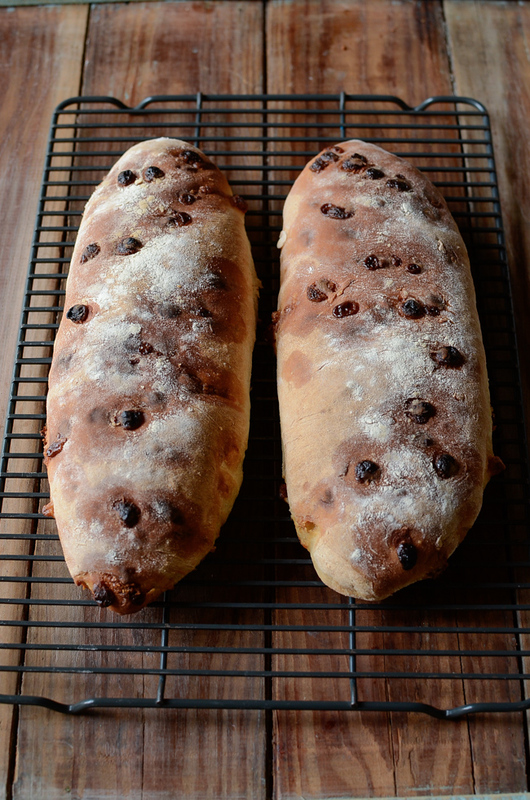 You can make two big round loaves or a many small dinner rolls if you want. You will need to adjust the baking time depends on the size and shape of your loaf. Let them rise again, about 45-60 minutes. Then put them into preheated hot 450˚F oven and bake for 10 minutes. Reduce the oven to 350˚F and continue to bake another 10-15 minutes until the crust is nicely browned. Here it is. Looks like they came from a famous bakery. You will need to cool them down, but I couldn’t resist. That is my weakness. I sliced while they are still hot and you can guess what came next. Oh, my…! The warm melted white chocolate in a crusty bread? I could literally eat the entire loaf by myself if I let. I had to teach myself to resist the temptation, so I ate only half the loaf this time. I still regret because…, once the families came home, they were gone within a few minutes. No leftover for me to munch on midnight. Dang it! In an electric mixing bowl, combine water, yeast, salt. Add flour and white chocolate chips, mix with wooden spoon until everything is combined. It will be somewhat sticky dough. If the dough seems too stiff, add more water, 1 tablespoon at a time. 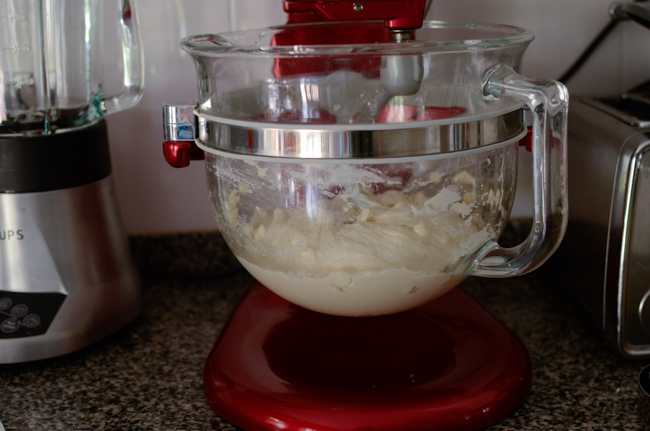 Attach a dough hook to a mixer and knead the dough for 6-7 minutes on the medium speed. Cover the bowl with a towel and let the dough rise to double in volume, about 1 hour. 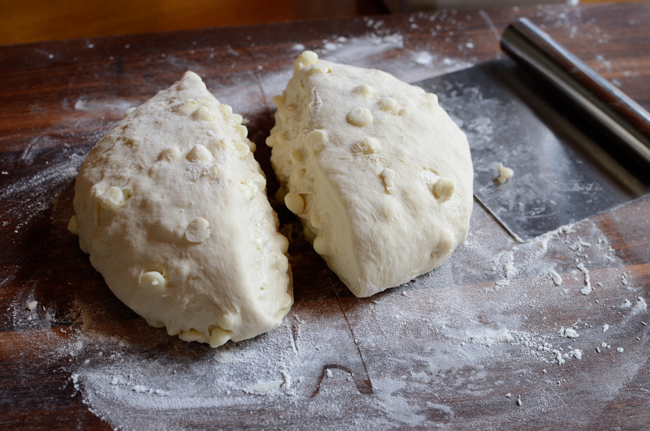 Deflate the dough and turn it over to a floured board. 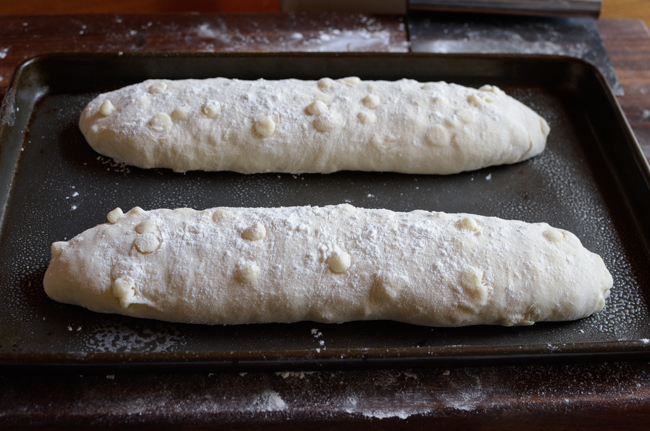 Divide the dough in half and roll each half into an elongated loaf shape. 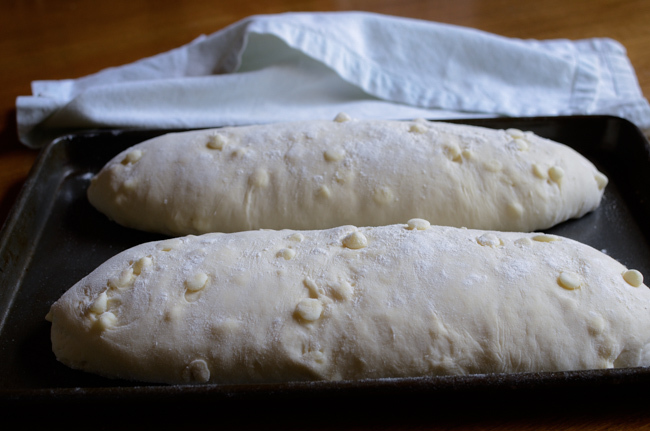 Sprinkle the top with extra flour and transfer the loaves onto a greased pan. Cover and let them rise again, about 45-60 minutes. Preheat the oven to 450˚F. When the oven is ready and the loaves are risen, put it in the hot oven and bake for 10 minutes. Reduce the temperature to 350˚F and continue to bake another 10-15 minutes or until it forms dark golden brown on the crust. Cool the loaves on a rack for 5 minutes. Enjoy the warm bread while they are still warm. I've never been to a Club Med -- understand they're fun. And I'd certainly love to have this bread! Good thing I have your recipe so I don't have to make the trip. :-) Really nice -- thanks. Thanks, John! Club Med is a fun place and their food were great, too. 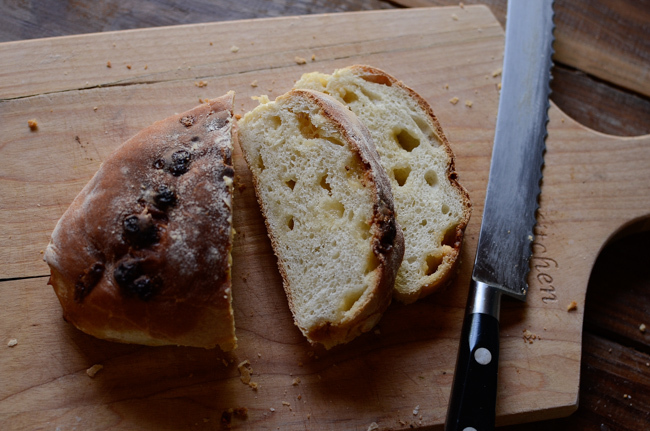 You will love the taste of this bread if you like sweet bread and white chocolate. Thanks for dropping by my blog. 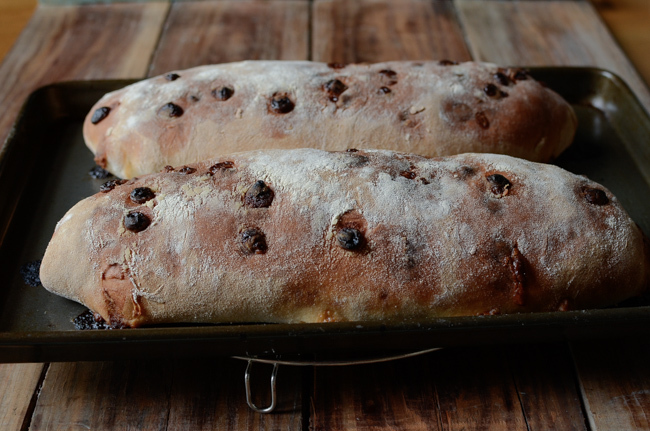 This bread looks easy enough to do and soooo delicious too! Mu pleasure. I enjoyed reading you post. Yes, this is very easy one that you can't mess it up. My husband is a huge fan of white chocolate. This is definitely a keeper, Holly. Thanks, Angie! I hope you can give this bread a try. It is delicious and so easy to make. This bread looks lovely! I've never had anything like it. 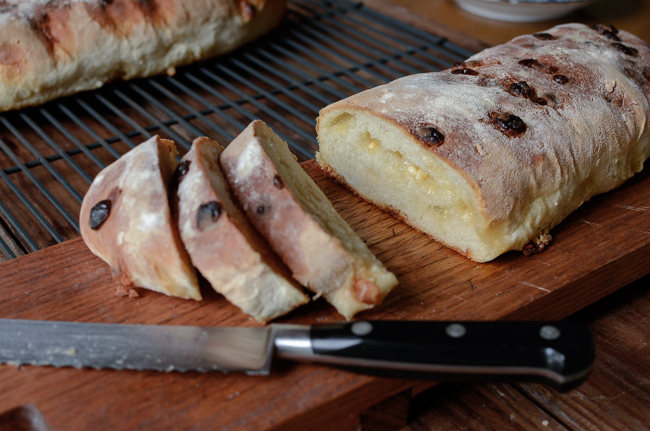 If you like white chocolate, you will love this bread. Thanks, Amy! Oh Holly! I can see why you liked this bread! 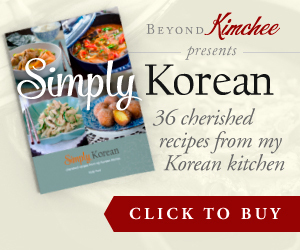 And this recipe is easy peasy! Thanks, Abbe! It is indeed easy to make and delicious! 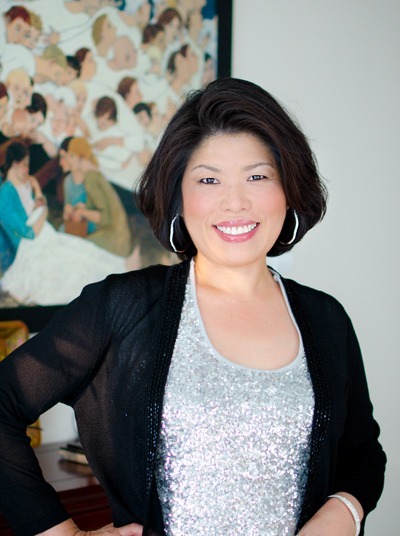 Hi, I live at a 6000’, do you have an adjustment for elevation?